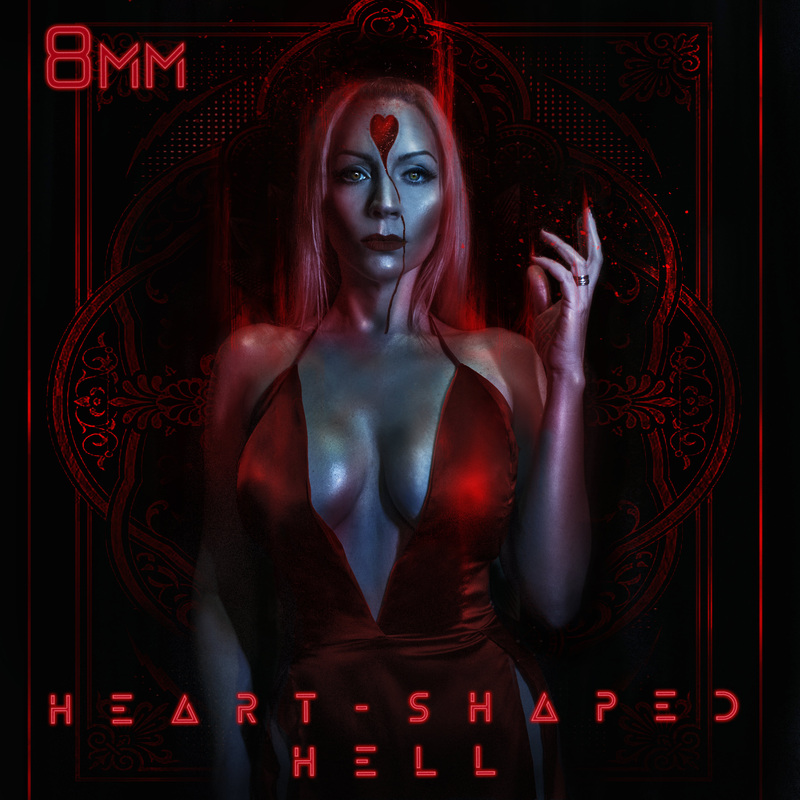 Seven years since the critically-hailed Between the Devil And Two Black Hearts (their last studio release), Los Angeles-based 8MM returns to the forefront of the orchestral alternative scene with their stellar new EP HEART-SHAPED HELL, which is out now and can be streamed here. When talking about the new EP PureGrainAudio noted, “[Heart-Shaped Hell] is helping to establish both Sean and Juliette as one of the most experimental and diversely gifted musical duos that pushes the boundaries of the many sub-genres that their music covers.” To help celebrate the release, 8MM will be playing an EP release show February 27 at Los Angeles’ Soundcheck Live at Lucky Strike. You can RVSP for the show here. Kicking off with the pulsating “Self-Inflicted Heartache” highlighting Juliette’s bluesy vocals that dance in and out of Sean’s anxious soundscape, Heart-Shaped Hell’s six songs push the boundaries of their brand of slinky dark pop. The atmospheric “Bring It On” builds an emotional arc amidst a trip hop-esque structure, establishes the band as premiere songwriters who imbue an innate melodic backbone that grasps at the heartstrings like a drowning man to a lifeline. Previously tapped as a celebrity model for the popular red-carpet line Stop Staring! (other clients included Nicole Kidman, Eva Mendes, Trisha Yearwoood, Christina Aguilera), Juliette has dabbled quite a bit with film production, film score, as well as work in front of the camera. She made her acting debut in 2014 in acclaimed indie films, June and Death Valley and most notably recently guest starred in Fox’s hit TV series Gotham. She has produced and co-produced indie films such as the upcoming short films Jane Doe and Bloody Preacher. She produced and starred in 2015’s Everything In Its Place and 2016’s Lion Den, which is collecting nominations at festivals across the U.S. Recently, she spent two months in Puerto Rico as an associate producer on a feature film starring Laurence Fishburne. “We also wrote a musical, so we’re not just sitting around,” she laughs. Sean and Juliette together scored the award-winning supernatural thriller short The Cleansing Hour, which is currently being adapted to feature-length with the pair again at the scoring helm. Championed by some of the industry’s leading tastemakers, such as Nic Harcourt of KCRW, and been named in the past as one of the Bands You Need To Know in Alternative Press and a “Buzz Band” by the Los Angeles Times, 8MM’s music has been featured on Grey’s Anatomy, One Tree Hill, Shark and the Underworld: Awakening soundtrack, amongst many others. 8MM is Juliette Beavan and Sean Beavan. Heart-Shaped Hell was produced by Sean Beavan and is out now on and can be streamed here. RVSP for their upcoming LA EP release show here.